Apple Watch is predicted to get its first redesign since launching in 2015, according to noted KGI analyst Ming-Chi Kuo, who expects the device to also feature a larger display, extended battery life and upgraded health monitoring features. Kuo aired his predictions in a note to investors on Tuesday, saying the "Apple Watch Series 4" will boast a "more trendy form factor design" than the rounded square format introduced three years ago and carried through to today, reports 9to5Mac. Notably, Apple is planning to boost screen size by 15 percent, a major increase that will likely translate to a larger overall chassis. Currently available in 38mm and 42mm flavors, a 15 percent bump would bring display size in "Apple Watch Series 4" up to a respective 1.54 inches and 1.76 inches on the diagonal. If case size increases in step with the screen, users can expect a bump to 44mm and 48mm, respectively, though Apple could conceivably reduce bezel size while retaining existing chassis dimensions. Whether the enlarged screens will afford more internal headroom for additional components is unknown, though Kuo believes the updated models will feature extended on-wrist life thanks to increased battery capacity. Barring a breakthrough in battery technology, enhanced wear time equates to a larger lithium ion cell, again suggesting "Series 4" will sport a larger form factor. Kuo mentions enhancements to Apple Watch's built-in health sensors, but fails to detail what changes Apple has in store for the fourth-generation device. As it stands, Apple Watch incorporates a bespoke heart rate monitor, accelerometer, barometer and gyroscope to track a range of biometric data and user movement. Rumors last year suggest Apple is working on an array of advanced medical sensors for its wearable, including an embedded EKG module and non-invasive glucose monitor. Both technologies are not anticipated for integration in the near future, however, suggesting Kuo's prediction is related to heart rate sensor upgrades. Finally, Kuo estimates Apple to sell between 22 to 24 million Apple Watch units in 2018, up approximately 30 percent from last year. Interesting. If true, this is the first clear design philosophy differentiation from the Jobs era when iPhone size stayed small. Apple leads this time. Your calculations are way way off. 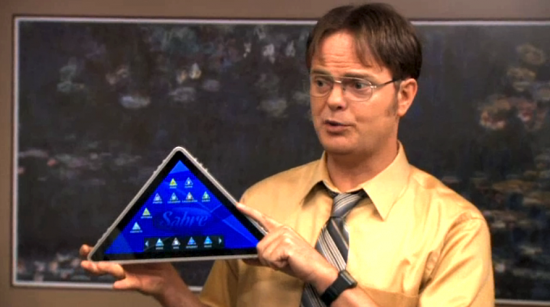 This is a surface yet you increased the dimensions 15% of each sides, and they could change the bezel. You can get a bigger screen with just less bezels, so not sure why you get 44 and 48mm, that makes no sense. In fact, it's much more probable it will stay the same size with almost no bezel. So, even with the same bezel as now, 15% would only be 41mm, 45mm. They only need to reduce the bezel 1.5mm to fit that screen in the current 38mm and 42mm format. 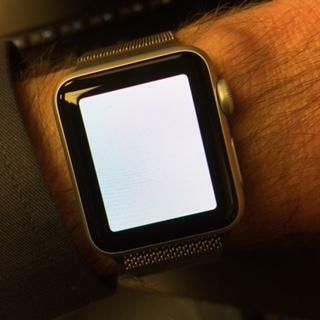 There seems to be a lot of wasted space on the Apple Watch around the display - just look at that wide border! My aging eyes would welcome a larger screen as long as it didn't make the body of the watch larger. Anything larger than the body of the 38mm Apple Watch looks "too big" on my small wrist. They’re not going to make the chassis bigger. Don’t want a bigger one tbh the 42mm is perfect, not too sure about a re-design either..
...Dear Santa... ...could you please offer us a round option, in sync with the purity of timeless geometry, the iconography of clocks, the persistence of memory (Dali vs FB ?) and melting fascia...? 15% bigger? Sign me up. 38mm and 42mm are perfect. I also think they are going to remove the bezels display-wise. I don't think it will make the watch bigger, just bigger display. There's plenty of bezel on my Apple Watch and it would be a nice welcome to see a bigger display while maintaining the same chassis. And longer battery life too as I use it for sleep as well to monitor my sleep habits. I can't believe how much I still enjoy my series 0. Mostly, for wearing day-to-day and running. I'm trying to hold off on getting the upgrade until they make a thinner one. I am also looking forward to a round design. The layout of app icons on applewatch was designed to accommodate both square and round shapes. I hope it happens this year. Yet that's the worst part of the Watch UX — it doesn't work well, at all. I'm trying to imagine how one would design their apps to accommodate both rectangular and circular screens and it makes my brain hurt. i’m all for this, but please apple please please please keep the bands usable in the next apple watch iteration. i’ve collected a ton already and want to be able to use them in the next series. thanks. There'll be a dongle for that. I somehow cracked the screen on my series 3 Nike edition, definitely didn't hold up like my first gen sapphire glass one, I guess I might hold off repairing my series 3 if there is a series 4 in 5-6 months time. 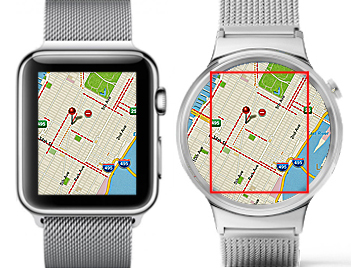 Many developers are already doing it for the Samsung and watchOS now. So that's not likely to be an issue. I'd also expect Apple to do something similar to the iPad when it launched and provide a square window within the round watch to run older apps until a developer can update it. Perfect for you two. But there's a pretty big audience out there, some of whom may want a bigger, and smaller watch (especially if the bezels are going to shrink). The watch is doing well enough that Apple can afford to start customizing a few more options to expand the pool of customers. Exactly so. 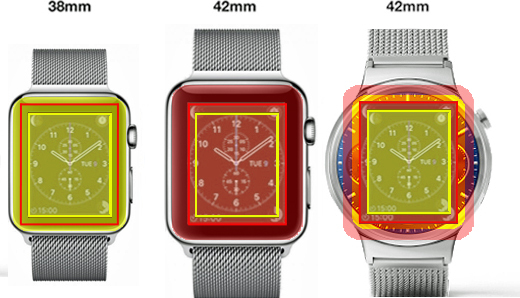 There's no reason the 38mm watch needed such a small display, except they kept it visually similar to the 42mm. Reducing the bezel is going to level the playing field as far as round watches having more physical display area.